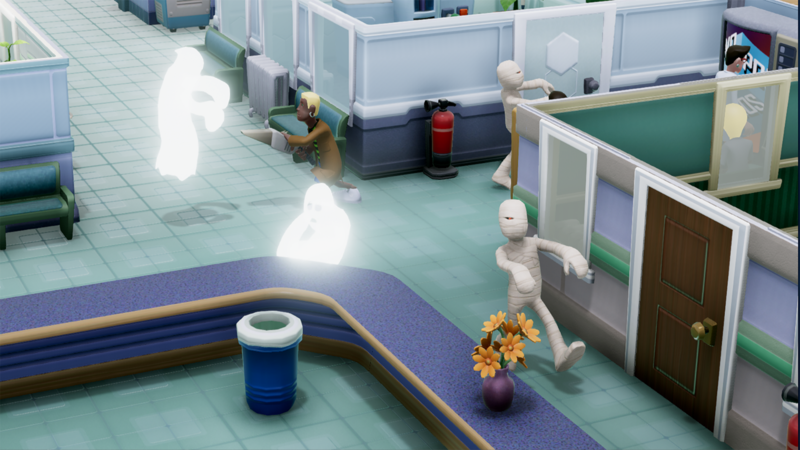 Two Point Hospital — it’s one hilariously “sick” game! 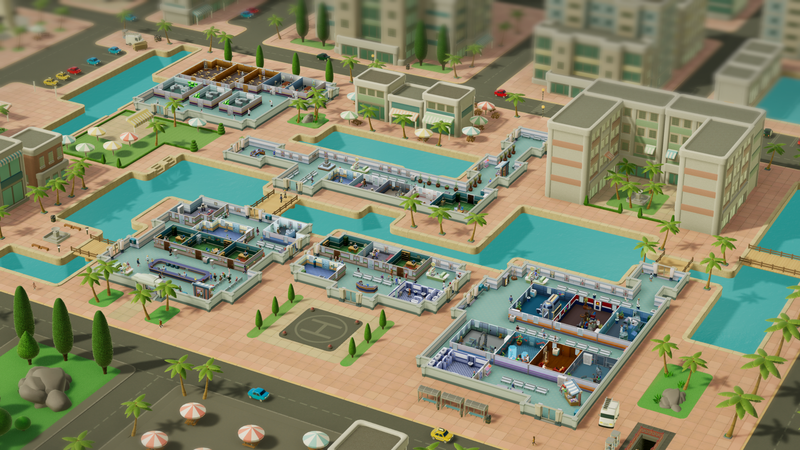 At Gamescom 2018 we got to sit down and talk to Lead Artist Mark Smart and Lead Animator Chris Knott about their upcoming game, Two Point Hospital. After having a small discussion about how nostalgic the game felt to someone who previously had played Theme Hospital, they quickly pointed out that the game had a great mix of old and new. Fans will appreciate it, while new gamers will be able to play and enjoy it. It’s a modern version of the classic simulation game. Mark: We got people that made the original Theme Hospital working with us so you know, that’s kind of what’s gonna happen. We’re gonna look back a little bit but we wanted most of it to be completely new and fresh… just with a lot more details *laughs* a lot more! When you were looking at making a new game as part of the new studio, what made you decide to return to this particular franchise and genre, was there a gap in the market? Mark: It was a nice introduction to introduce our studio. We got that sort of pedigree of working with other games. Me and Chris both worked on sim management games before. We like those games and we just thought “this is a perfect way to start”. One of the games Mark and Chris previously worked on is called Startopia, in which the player administers various space stations with the task of developing them into popular hubs. The game has a comical overtone, with cartoonish aliens and lighthearted humour. Startopia, was the perfect sim-game introduction for them. 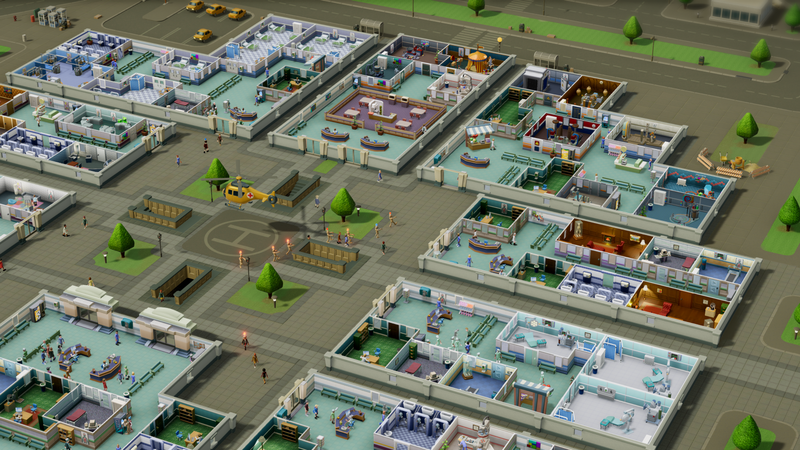 When doing a research about the game, we found that a lot of fans had theories that Two Point Hospital would be a part of other games set in Two Point County. Fans were hoping for multiple titles, along with a potential crossover. Mark: With anything like this there’s always hope to do more. There’s nothing there at the moment but obviously we’d like to make more. 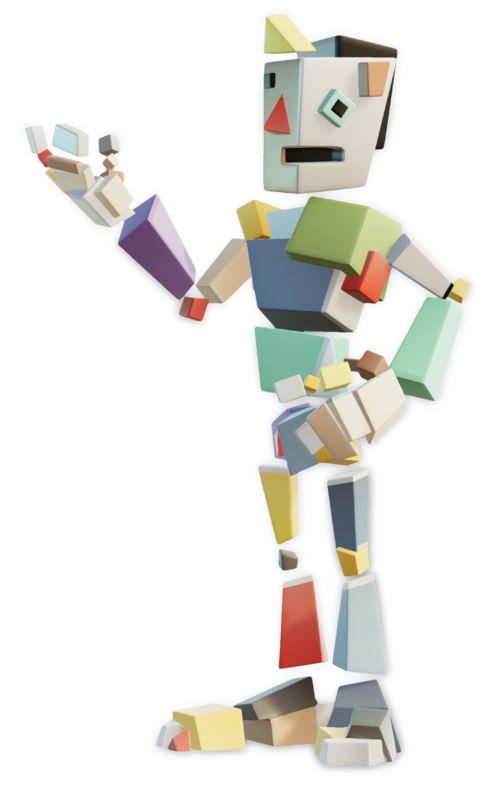 We wanna make this little people games that people can get into like… when they see it, they know exactly what it is. There’s definitely a lot of the classic British black sarcastic humour in the game, is that something you come up with in the studio? Mark: Oh yeah, it’s pretty much coming up with it in the studio for a lot of it. We’ve got some great writers and cast as well but in the end it comes from all of us. Chris: It’s shared influences as well. Personally, I drew from things like Green Wing. It’s that kind of slightly surreal world that is under the real world that goes on but you never see it. Mark: We kinda like the same programs as well. We just shout out catchphrases from different things. We were talking about… you’ve probably never seen it but Toast of London. That Matt Berry thing. He was in The IT Crowd and.. It’s this strange sort of humor that we all like. Also, when it comes to humour you gotta be brave about it. You’ve gotta be genuine as well. Mark: Yeah, yeah, not everyone’s gonna get it! It totally adds to the aspect of it. When you do get it, it feels like you’re rewarded, there’s a sense of closure when you ‘get the jokes’. Mark: Yeah, that’s a good way to put it! We couldn’t do this interview without asking about the illnesses and where they got all their ideas. You must be slightly twisted in order to find inspiration for everything. Mark: So yeah, it starts of with us two cause you gotta start somewhere. Then it spreads out, more people gets involved. Occasionally someone will shout out “what about so and so?”. Sounds like you have a great synergy within the team then? Mark: Yes absolutely, great thing about small teams: We can all get up and shout! Let’s talk about difficulty; Is it more accessible now? We remember Theme Hospital being quite hard, especially the last levels. Chris: The difference with this [Two Point Hospital] is that it’s for everybody. ‘One star’ a hospital is the first tier, but you can also ‘two star’ and ‘three star’ every level to make the difficulty ramp up. Mark: It still ramps up in ‘one star’ as you get towards the end. But we’ve tried to balance it out so it’s not unplayable. Chris: By that point [3 stars] you would have played the game so much more, that it will just be a challenge. It’s not like it’s impossible and suddenly the difficulty spikes, it’s more of a progressive challenge. Mark: We didn’t want to put people off. There’s a ‘friendly skin’ on the outside of it. We want it to be accessible to people, but we also want them to know that there’s a lot going on, a deep management and business sim to it. You can delve into it as much as you want. Everything influences everything else. There’s actually quite a lot of in-depth details indeed, you have to be quite data savvy, curves, graphs, stats etc.. if you really want to get into it, it’s definitely there. Chris: That is one of the things we wanted to put in: it is there if you want to. If you’re the kind of player that wants that level of granularity it’s there, but if you don’t then it’s just a fun video game. One fun theory we had was that the illnesses were created at the hospital itself! Mark: Well you know there is a research lab, so it could go horribly wrong! Does the game have Disasters or catastrophes? Mark: Yes, it does have those elements, they tend to happen towards the later stages of the game and in particular areas. You’ll get earthquakes, electrical storms, showers of lava. Mark: As you go to different levels within Two Point County, you’ll encounter different challenges set by the environment and also what the general populous is of that particular area. So you could have a wealthy area so you could charge more for your cheesy gubbins or you could be in a lower area that hasn’t got as much money and you have to repair the hospital before you can, you know, move on. 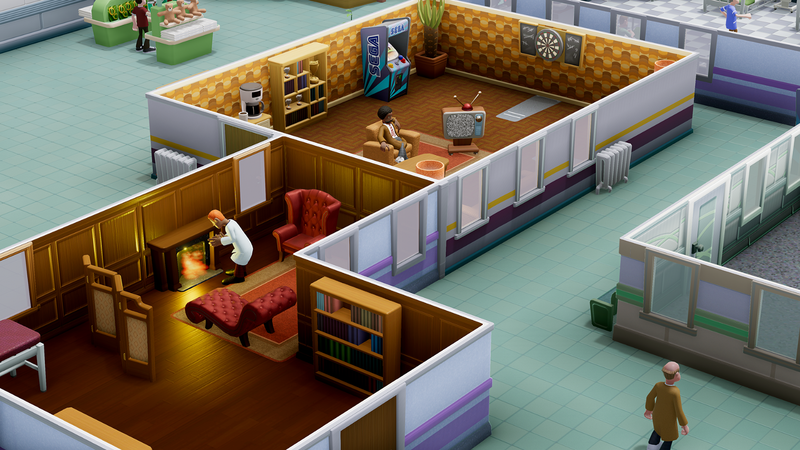 Two Point Hospital will be out on August 30th, on PC, Mac and Linux. Right no there’s no DLC’s or extra content planned, but they might consider modding in the future (via Steam). The game is releasing soon, how does that feel? You’ve been working on it for a while then? Mark: Development wise about 19–20 months. When the company formed it was about 5–6 of us, and then we kept growing to where we are now. With the release around the corner, what has been the fan input and feedback? Considering the legacy it has. Do you have any expectations from the fan community? Mark: You have to speak to our community manager about that. But we’re really happy when we hit the spot with old fans. We want to do the legacy justice, but of course we want to keep it fresh for the modern generation. It might remind you of something, but this is new, fun and interesting. Even though they’re used to interviews and a lot of similar questions, the guys actually got a bit surprised when asking if they ever considered turning Two Point Hospital into a VR experience. Chris: Never thought of that! Mark: Our usual stock answer with things like this is “Well, we’ve discussed it” but you know what, we haven’t discussed that! Chris: We’ve discussed everything else, but not that! I don’t know… We did that in Startopia, didn’t we? That you could zoom right in through the characters eyes and just walk around the world. You could just follow them for hours and watch what they did. Mark: Early on we kept putting a headset on and just stood outside the hospital but no, it’s never been considered. So one last question before we go. We know a lot of people have asked you about your favourite sicknesses before but if you had to go to Two Point Hospital because of an illness, what illness would you pick? Chris: Emperor’s New Clothes! I just like the animations for it. There’s something really lovely about these people who come in with a bow tie and shoes and look really happy. But then just start lunging in front of people and bending over, stretching. It’s something really mortifying about it. If I was gonna go, I’d go with that. Mark: I’d come in as a Mime!